Small Pyramid offer ideal acoustic foam panels solutions for applications including studios, recording, music rooms, vocal booths, radio stations, TV studios, broadcast studios and more. These acoustic foam panels offer a continuous visual presentation across the expanse of a wall as we showcase in this image. These Small Pyramid are cut from our line of class A fire rated melamine foam, making them approved for use in any commercial, residential or industrial application. High density acoustic foam cell structure for maximum noise absorption. 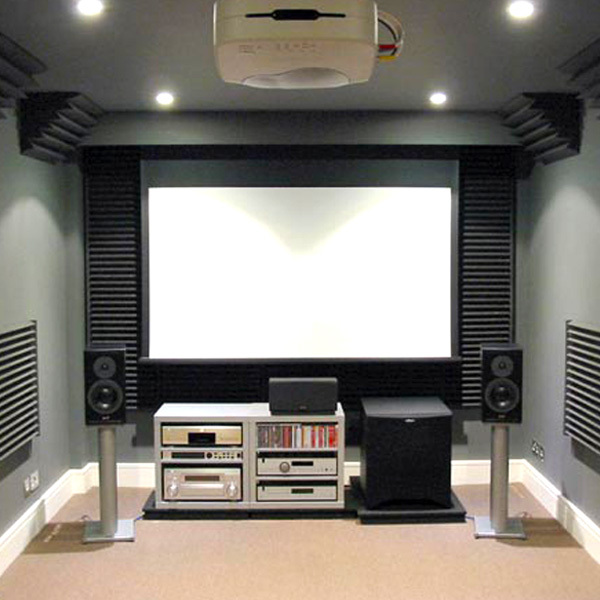 Attenuate sound pressure build-up in rooms. Helps to flutter echoes and reduce excess reflections and reverberation. Improves vocal clarity and acoustics of your room. Ideal for use in recording studios, home theatres and karaoke rooms etc. Made by Imported High Quality Foam. 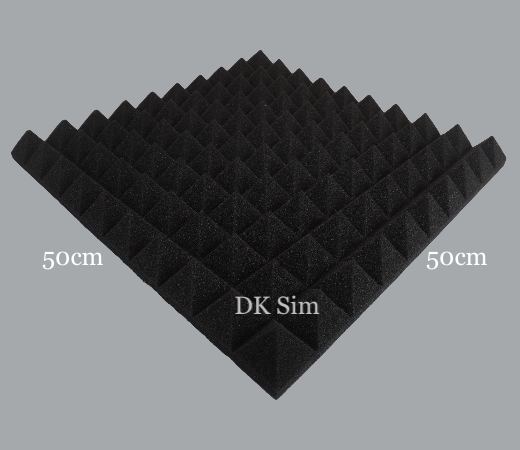 This New Acoustic Foam is made with High Quality Imported Foam. Sound vibrations are broadcast thru the air, causing issues with noise entering and exiting your house studio. Acoustic Foams offer ideal acoustic solutions for applications including studios, recording, music rooms, vocal booths, radio stations, broadcast studios and more.